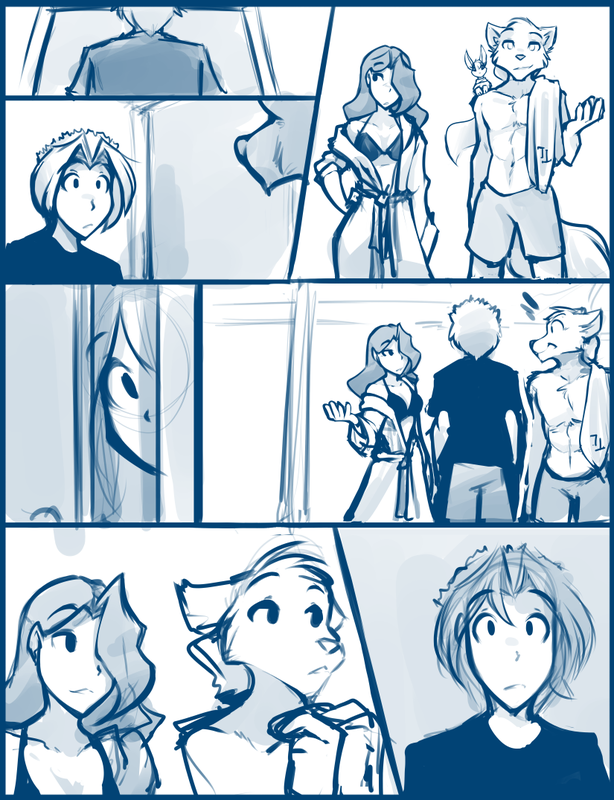 1059: Relaxation Attire - Twokinds - 15 Years on the Net! Red: Raine? You up yet? It’s already past noon! Red: Hello? Is this the wrong door? Sythe: Hey, Red. Looking for Raine? Red: Yeah, she must have been really tired after what went down yesterd- huh? What’s with the getups? Sythe: Apparently there’s a fancy magic beach in the manor. I figured after all that went down, we deserve to have a little fun and relaxation. Sythe: You know, a “thank the gods we’re still alive” party. Sythe: I hear the others survived something the other day too so its fitting! Maren: Honestly, I’m just glad I get out of that potato sack I was wearing. Not exactly sure how I feel about wearing the clothes of Trace’s dead ex-wife, but I can’t really afford to be picky. I want to enjoy the stay here as much as possible before this whole place explodes or something. Sythe: Hey, don’t jinx it! Maren: What? I’m just being realistic. Simply staying in the same house as Trace paints a giant target on our backs. Maren: And given our track record, well… I’ll take whatever I can get. Maren: Of course that’s where his mind goes.